Search Acumen has been awarded the Legal Eye Quality Standard after impressing the assessment team with its approach to best practice, risk management and compliance. Confirmation of its ‘straightforward’ accreditation follows a month where inbound support calls from clients chasing overdue searches fell to zero while new orders grew 180% year-on-year. External accreditation and rapid growth show Search Acumen’s IntelliSearch approach is working by delivering unrivalled products and services to conveyancers. The approach combines in-depth industry knowledge with innovative use of the latest technology to engineer a more ‘intelligent’ approach to searches. Legal Eye accreditation involves auditing business practices above and beyond the rules and procedures addressed by the legal industry’s traditional standards. Recognition via the Quality Standard is designed to give clients the confidence that the firms they deal with are fully compliant and equipped to manage their responsibilities. Search Acumen achieved a 2.5% share of the property search market in its first year of business and continues to record significant growth on the back of its IntelliSearch approach. Orders in January were up 180% year-on-year and despite this growing volume of business, its proactive and consistent service means no client has needed to call Search Acumen and chase an overdue search order in more than four weeks. “Designing processes, which do their jobs accurately and with minimum fuss, is at the heart of Search Acumen’s DNA. It’s an integral part of the search services we offer, and also allows us to provide the best possible support to our clients. 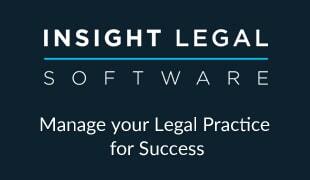 We are delighted this approach has been recognised by Legal Eye.